Winter really is a great season for a minimalistic approach to photography. The snow can provide a nice even backdrop for simple scenes like this. 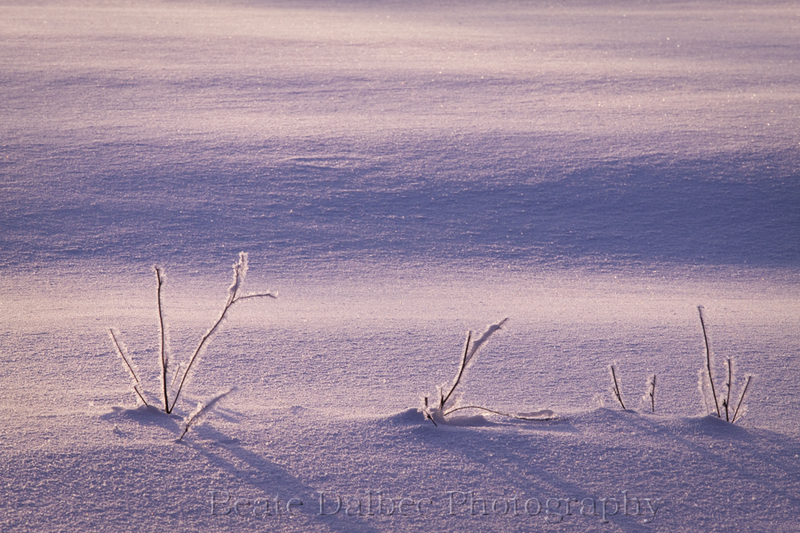 What enhances this image even more was the beautiful early morning light which turned the snow into this lovely color.